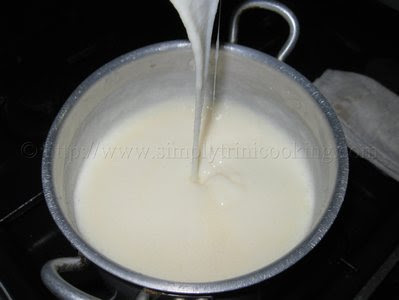 I am thinking about Cassava Porridge. 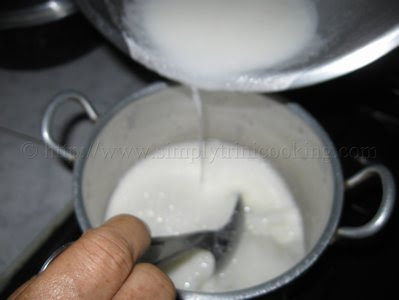 When last yuh had some good homemade porridge? Back in the day, our grandmothers and mothers made porridge from anything that was considered “porridge worthy” for their family. 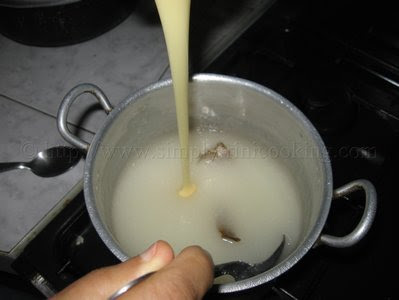 Porridge was made from the usual oats (Quaker Oats) , grated cornmeal *, arrowroot, flour, custard powder, sago ** and of course cassava. 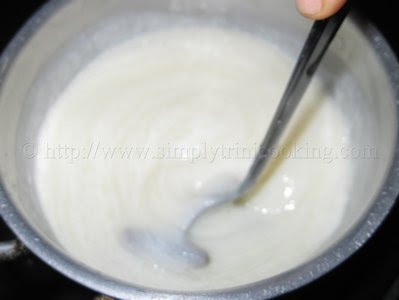 When we made porridge it was made either for breakfast or dinner and was considered a complete meal. So much so, that it was a staple for young children growing up. When you ate a good bowl of porridge it left you satisfied for a few hours well. 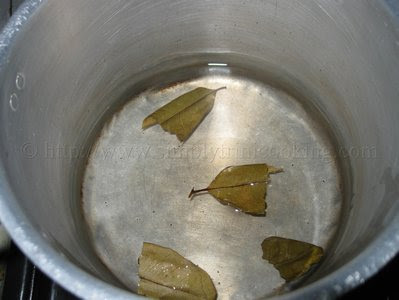 Added to that you were also getting your vitamins, fibre and carbohydrates from a natural and unrefined source. Wash, peel and cut up the cassava. 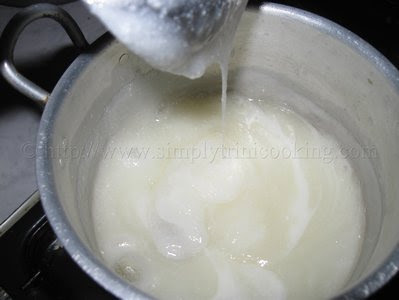 Place the chopped cassava in a blender with 1 cup of water and blend until smooth. 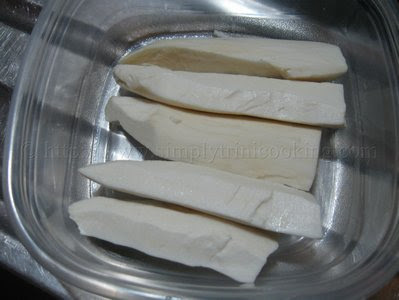 Note: When cooked, the cassava will look translucent. 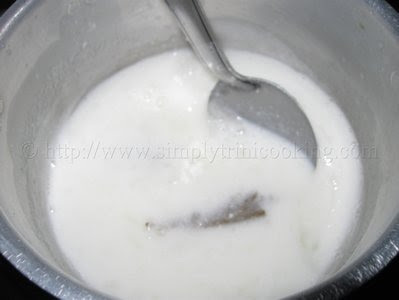 Add the condensed milk and the remaining cup of water. 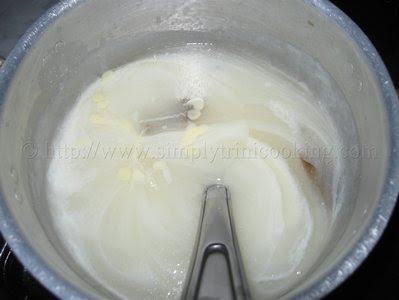 Continue stirring until the porridge has a thick, creamy consistency. 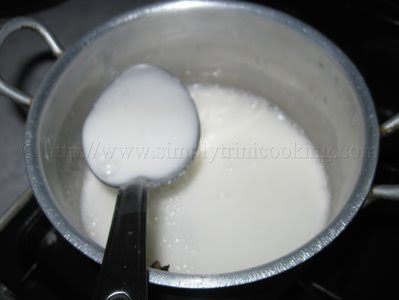 Adjust milk and sugar to taste as necessary. * On mornings everyone in the village woke up early to grate corn to make cornmeal. ** From the Sago Palm. Well, that’s it for this week. Hope you enjoyed this weeks posts. More to come. Bye! P.S. 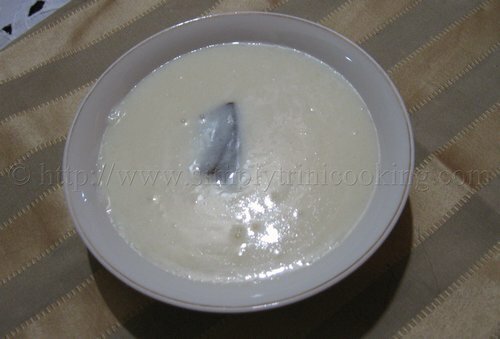 Tell us what you think about cassava porridge or any other type of porridge you like. I never had this porridge. I used to love sago, we used to get it when we got home after school. The maid would have it waiting for us. Yum Yum. It tastes really good, but the gooey texture was strange for me until about the third bowl I started getting used to it. Is it supposed to be gooey??? I mean, do u like that. It was like eating a tasty milky polymer!!!! Now I usually love most things cassava but this was tricky for me to enjoy! Although I want to give it another shot. It was too slimy for my taste. maybe min e was not thick enough?? “A tasty milky polymer…” I like how you said that lol 🙂 Actually the consistency is not supposed to be that gooey. 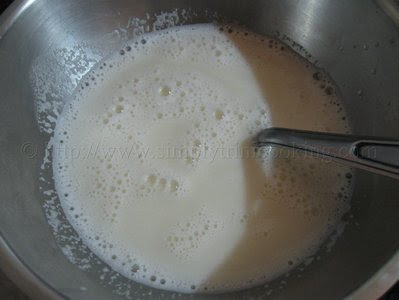 If it’s gooey then all you have to do is adjust the milk and sugar. It shouldn’t be slimy either. A good idea of the consistency is the normal Quaker oats porridge. But then consistency depends on how you like your porridge. Hope this helps! My grandma used to make Yam Porridge. I’ve searched all over for a Yam porridge recipe. Does anyone know if this same process can be used for Yam? Thanks in advance.